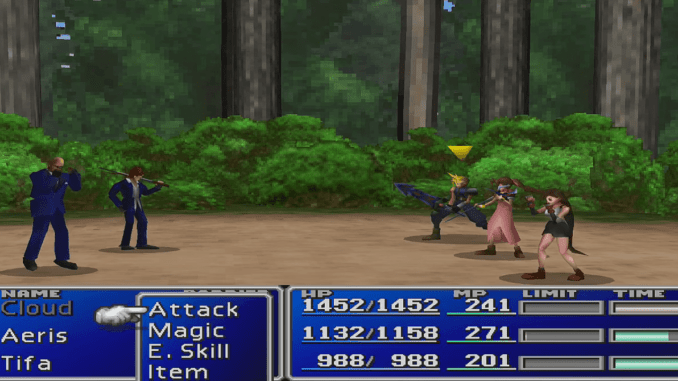 A boss guide for Reno and Rude (Gongaga) in Final Fantasy (VII,) including boss stats, attacks, and strategies on defeating it. 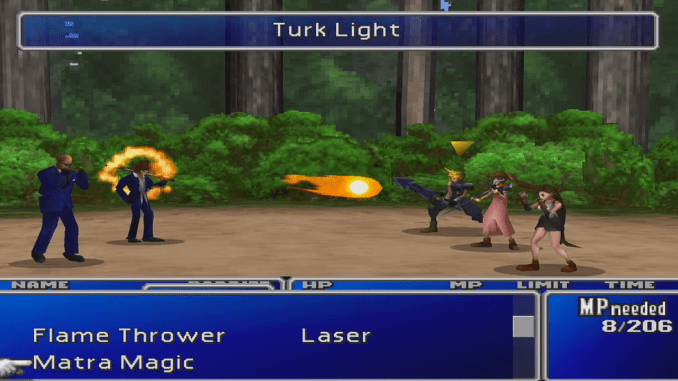 Contrary to its flame-like appearance, Turk Light is a non-elemental attack. Turk Light deals damage to a single party member. Reno uses Electropod when hit by a Lightning attack. Electropod is a counter-attack that deals physical damage to a single opponent. Rude casts Fire to inflict damage to one party member. 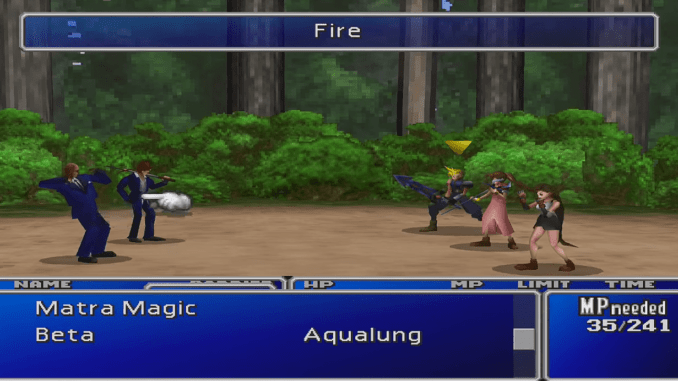 This is a fairly easy fight. Focus on defeating Reno, as he will give a powerful staff once defeated. 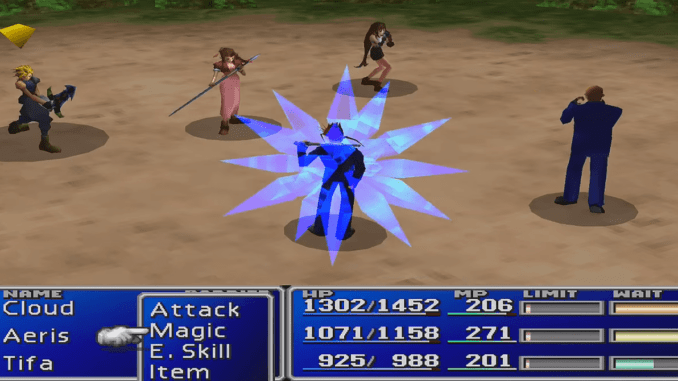 It is worth noting that Rude will not attack Tifa if she is in your party. He will only drop an X-Potion if defeated first.